If you are a regular reader of Style Chicks you know how much I love Imju Fiberwig Mascara, and a few months ago they came out with a new formula called d.j.v. beautenizer Fiberwig LX. As I’ve mentioned in a previous article, I love it for its staying power as well as how easily it comes off at the end of the day – it is soooo gentle on lashes. The new formula is just as gentle and as clean in removal, and also has amazing staying power during the day. This is especially impressive for a fiber mascara – my eyes are sensitive, but I’ve never had a problem with fibers or flakes getting in my eye, or flaking under my eye. Enough so that I forget that flaking can be a problem when I try other mascaras! The updated formula has a curved brush to grab all of your lashes. I like to catch my outer lashes for a second coat to give them some extra wow factor, and I turn the wand vertically to paint some extra fibers on my middle lashes to make them appear super-long. 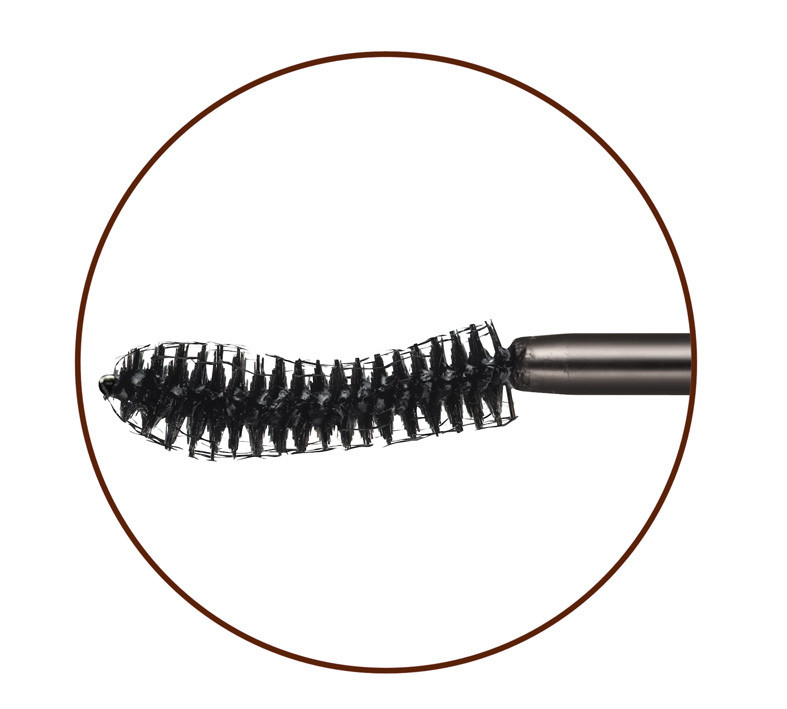 Fiberwig LX helps lashes get naturally longer too – it contains panthenol to condition lashes. I had sort of forgotten about that when I was testing the formula out, and then wondered why my bare lashes seemed to be staying at the long-end of the growth cycle for about a month and half now, and after reviewing diet/supplements/other products I’m using, I think it has to be the mascara. Now, Fiberwig LX isn’t a lash growth formula like Latisse by any means, but the panthenol conditions your lashes so they stay soft and healthy as they grow. This in turn leads to less breakage. And if you want to try out Fiberwig LX (you really, really should), you will find that your lashes will be naturally fuller simply based on the fact that removal is so gentle that you will lose less lashes in mascara removal. In addition, the formula is pretty flexible, so if you happen to touch your lashes when the mascara is on, you won’t have any breakage. In fact, it is so flexible that the product directions say to curl your lashes after you put it on and it dries for maximum “pop”. I curl both before and after (I think my Paula Dorf curler works best with Fiberwig since it is easier – at least for me – to “thread” the length that Fiberwig gives between the crimper and the pad), and the result is pretty amazing. All in all, Fiberwig continues to be my go-to mascara. It works for day, it works for night, it just works. The brillant folks that make Fiberwig LX just came out with a volumizing mascara as well – I can’t wait to try it! Find d.j.v. beautenizer Fiberwig LX d.j.v. beautenizer Fiberwig LX in Pure Black at Sephora.com .